Unlike the original Mini 10, the memory is upgradable to 2GB (up from the standard 1GB) and thankfully does not require you to fully dismantle the entire laptop like you do with the Mini 10v; however, there is still no easy memory access door. 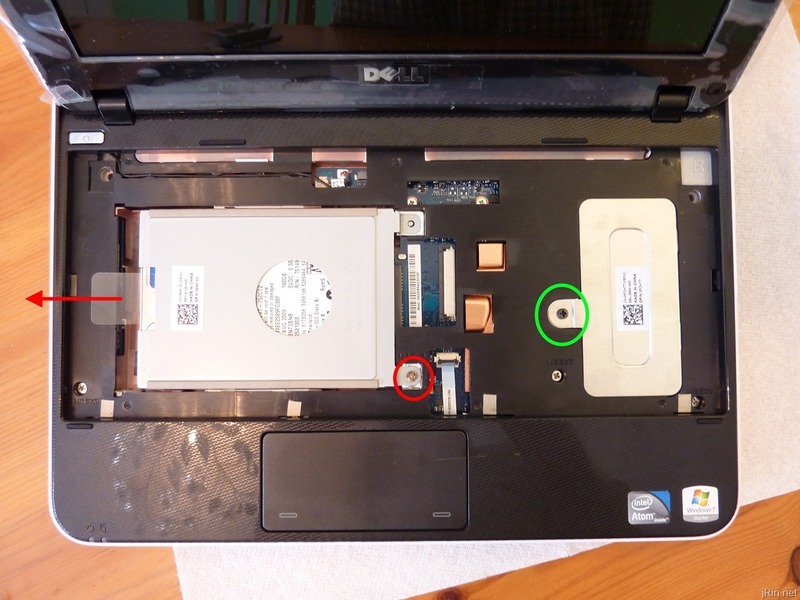 Instead, you have to simply remove three screws on the bottom of the netbook as well as the keyboard and then you will have relatively easy access to the memory (green) and hard drive (red). On the other hand, if you want to upgrade your wireless card, wwan, hd decoder, etc – you will have to remove a few more screws and then pry off the palm rest (and it’s honestly not too difficult). See my previous post with an HD video and picture guide on how upgrade and dismantle the 1012. Viewing angles and brightness are both very good. 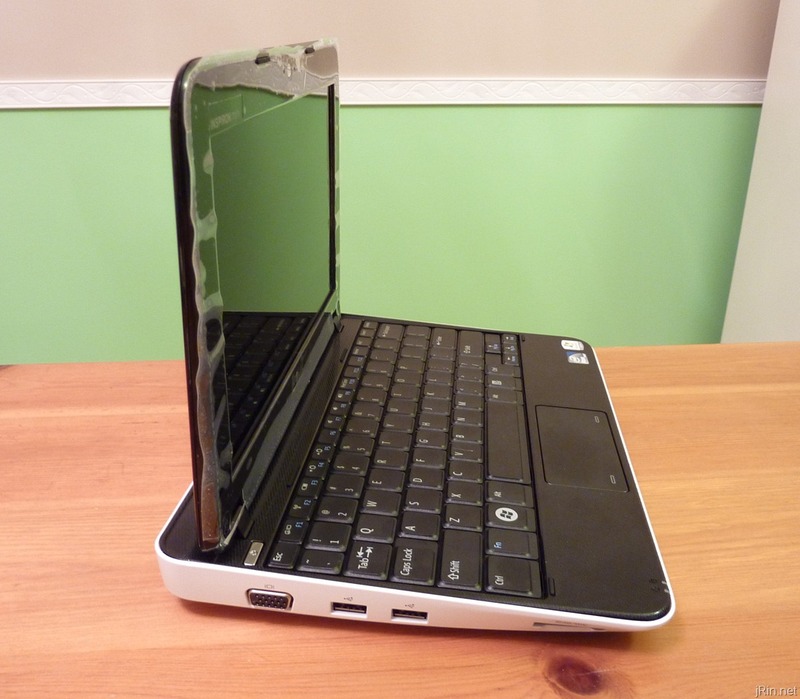 Using the netbook on my lap or a table, I did not have any problems having to look at it at just the right angle or anything like that – slight movements of my head (or lap) didn’t require me to adjust the angle of the screen in order to see everything “normally”. You’ll notice in some of the screen shots/videos that I installed Windows XP – this is because I was going to run 3DMark and PCMark benchmark tests, but I unfortunately was unable to access an external monitor to meet those software titles’ requirements of having a screen resolution of at least 1024×768 – so I was unable to get any of those “official” benchmark numbers. That being said, the 1012 is definitely a bit more powerful than it’s predecessors simply though it’s ability to playback Flash better. It’s really not a big deal, as you can change the default behavior in the BIOS, but it’s something to be aware of. 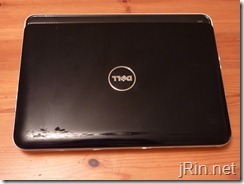 In my opinion, this is the best 10” netbook Dell has come out with. 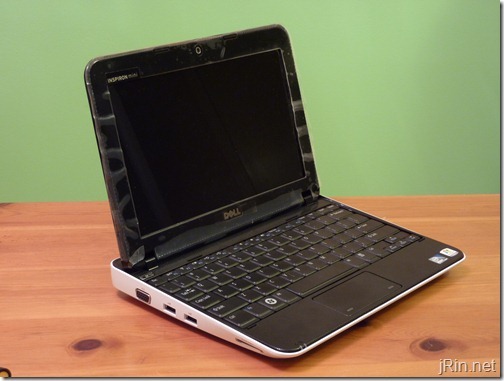 The Dell Mini 1012 combines the better features of the Mini 10 (HD screen and many pci-e card options) and the Mini 10v (upgradable memory, extra USB port), while improving upon the 6 cell extended battery. 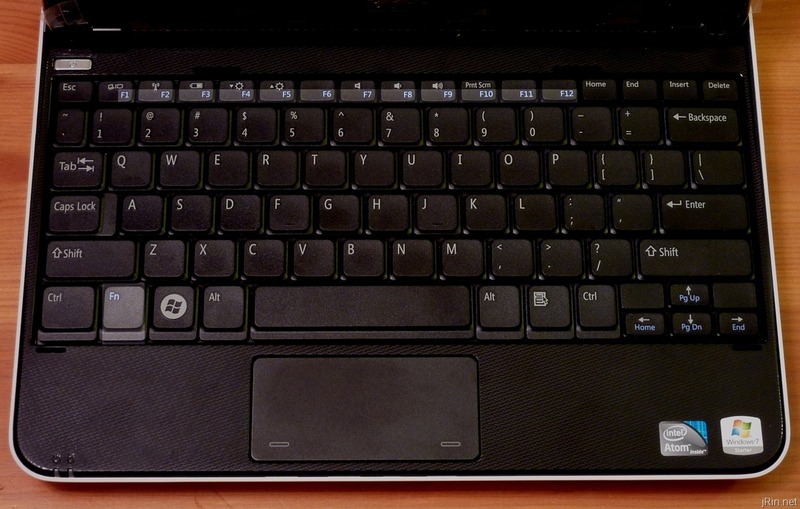 The Atom N450 helps push this netbook into a more “usable” realm of portable computers now that it can better handle Flash playback while keeping it’s power usage down to allow good battery life. Would it have been nice to have HDMI? Yes, and when I’m buying a laptop these days, I won’t buy one if it doesn’t have HDMI – but I don’t feel as strongly about it when it comes to a netbook. I guess that since a netbook isn’t as powerful as a laptop, it’s not a laptop/desktop replacement, so I don’t see it as being an “hdmi media playback” computer. I also wish Dell would quit using the touchpad they’ve had in these netbooks, or at least have a way to disable the multi-touch capability. 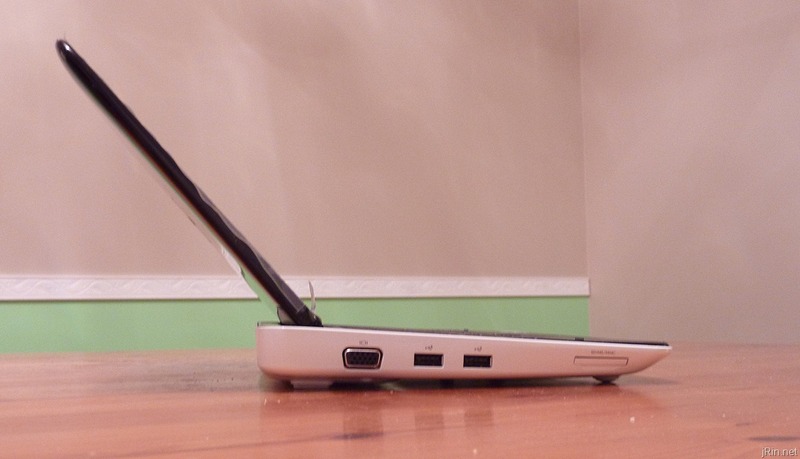 All-in-all, starting at $280 you can’t go wrong choosing this netbook over others in this price range; you will get great battery life, good performance, and many upgrade options (hd accelerator, high resolution screen, TV card, etc). thank you for your review. it enabled my son to advise me to purchase this mini. i don’t fully understand exactly everything you refer to in your critique, but overall it seems that i will truly enjoy using this computer! 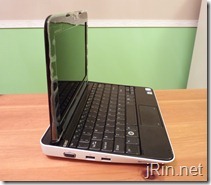 I think tha people which are considering buying such a small netbook should be first of all concerned regarding the resolution of the screen. 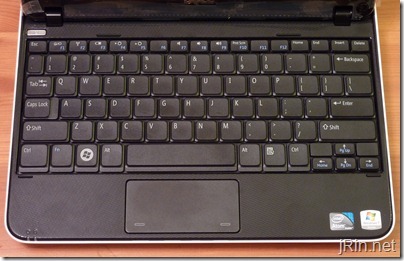 For example, try on this netbook to change the home page of Internet Explorer. You will go to “Tools” pull-down and choose Internet options. The Internet options window is so big that the bottom buttons “OK”, “Cancel” and “Apply” will not fit into the screen, even if you hide the Task bar. This window (and some others) cannot be modified by size so the only chance to access the “OK” button is to use TAB taste and GUESS (since you cannot see it) when button is active and press “Enter”. Okay, but where do you get the battery? 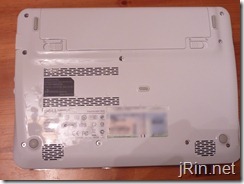 Dell no longer sells it, and I can’t find a part number. I keep getting shipped batteries for the OLD Mini 10, not the 1012, and they don’t fit. This is very frustrating. Dell has STOPPED supporting the batteries AT ALL. AHHH! Help! to frustrated: Yeah, that is odd. I cannot find the battery, either. The part number is 312-0968. 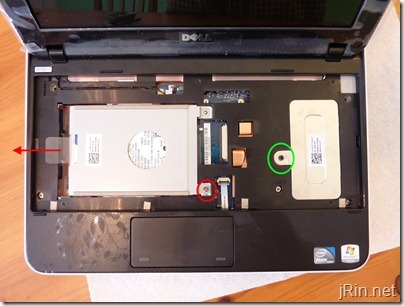 You might try calling Dell parts directly (1-800-357-3355) and see if they can locate it. 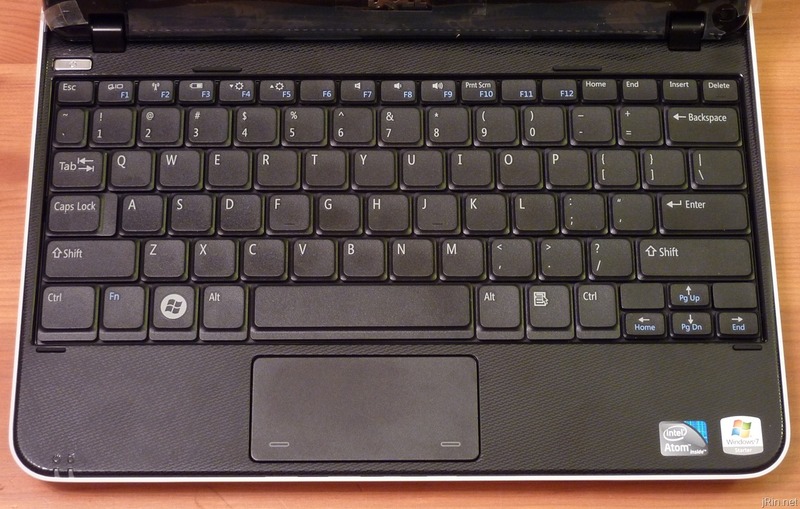 According to the tech specs on this netbook, the memory is DDR2 800, but it’s capped at 667 MHz due to the FSB. Has anyone else found that to be the case? If so, there is not much advantage to getting DDR2 800 unless it’s the same price as the slower 667, but I find it odd that Dell uses 800MHz memory when they ship it out. excellent review – wow! What bothers me most is possible heat (no fan) the touchpad and the glare display. Most important: Is heat an issue? Thanks for the review. Is heat an issue? I JUST GOT A INSPIRON MINI 1012 AND DOWNLOADED A GAME BUT IT IS TO BIG FOR THE SCREEN. CAN’T SEE WHAT’S DOWN AT THE BOTTOM OF SCREEN. IS THERE ANYWAY I CAN FIX THIS? YOU SEEM TO KNOW ALOT ABOUT THIS COMPUTER,AND I DON’T KNOW ALL THAT MUCH. CAN YOU PLEASE HELP ME? @Dianne, most likely there’s nothing you can do (unless you plug in an external monitor) as the screen’s max resolution is what it’s currently set at. What game did you download? 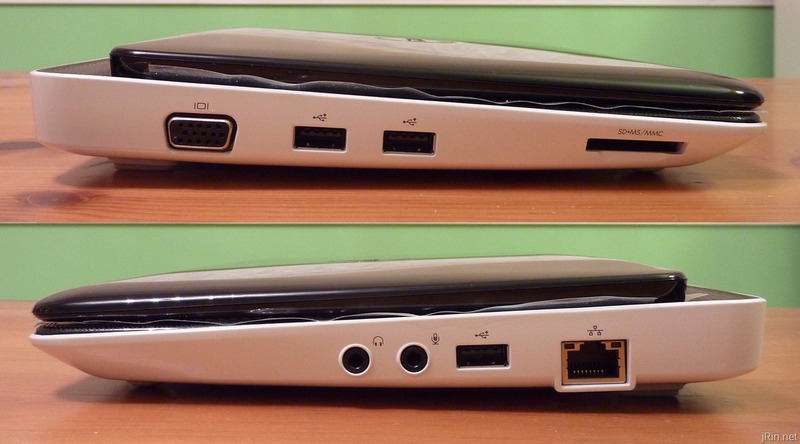 @NC, nah, heat isn’t an issue – it gets warm just as any other netbook gets, but nothing unusual. 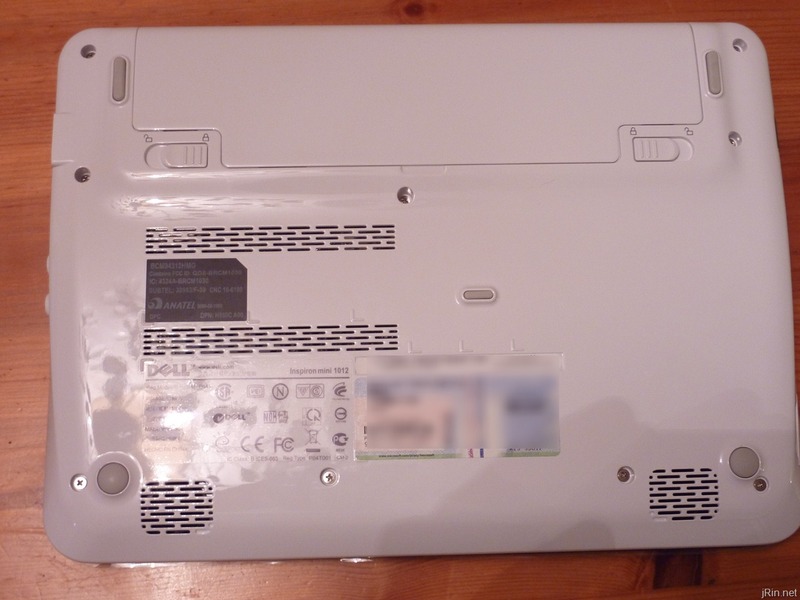 I just bought a Dell 1011 from PC World with a bring it back within 7 days for full refund. With your review; I shall take it back and get the 1012 for the Atom 450 processor. Thanks for the review. I got this for my wife to access email and surf the net when she is out and about running kids to practices and such. Works perfect for that. I got mine at the Dell Outlet and found a 20% off outlet coupon that brought my total down to $200. It is a GREAT computer for $200. I then called the refurbished spare parts line at Dell and got a Bluetooth module for $8 not including shipping, so I will use your video to install. I have a BT dongle right now working with Pdanet to have wireless access anywhere off of my Blackberry. I also installed a fresh copy of Windows 7 Ulimate 64 bit. Only drive I can’t find is Webcam Central, but I am sure one will come out soon. It gets a bit warm, but nothing bad at all. Very snappy for email and surfing and the battery life is more than adequate. I also got a Case Logic neoprene case and that fits perfect. You can get them on eBay for as low as $11 with free shipping. Get a wireless mouse with a mini usb dongle or bluetooth and you are all set! what will be the big difference between netbooks and laptops?? 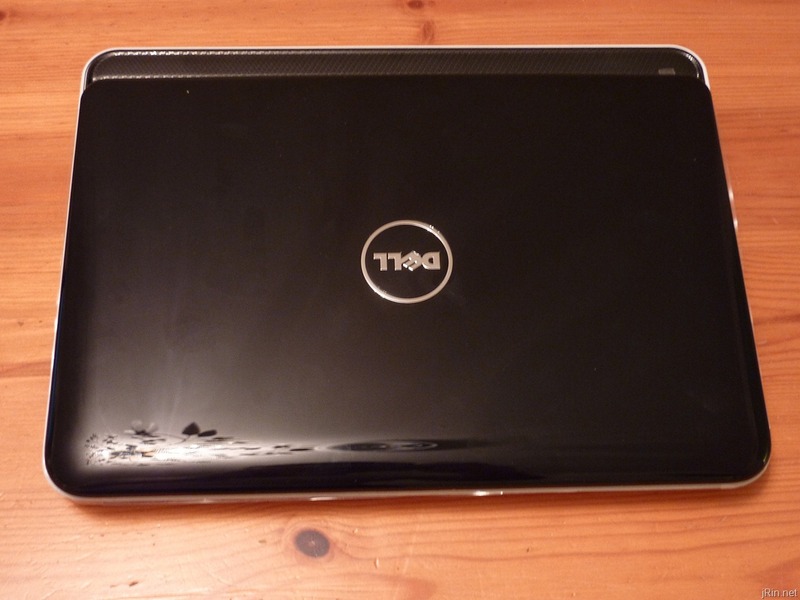 I own a Dell Mini 1012 and I love the thing. I do not have 20/20 vision and I do not have any problems with the screen size (like I thought I might). I upgraded it to 2gb of ram myself (very easy to do) and it runs even smoother than when I first got it. The review above is solid. 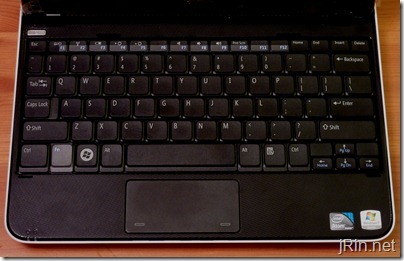 I also am not a big fan of the touchpad for similar reason. All in all it’s a great system at a great price and I fully recommend it. i have that model . and i just installed it win 7 ultimate 64bit . . .
the problem is i cant see my other applications. others are gone . . .
where can i install them ?? Once there you should be able to make all the changes you’d like! I would love to know if this is a good computer for kids? 5th graders? Can they do games, school work, and emailing easy from this computer. Or is it maybe not a great opton? How could a GPS be upgraded on mini 1012 ? There is a way to disable multitouch. They use a synaptics touch pad, which has multi touch capabilities like two finger scrolling etc, but the drivers installed from the factory are slightly different than the regular synaptics ones. To disable multi touch, first download the drivers from synaptics (free) http://www.synaptics.com/support/drivers. Once it’s downloaded, open the driver, and restart your computer when prompted to do so. With the new drivers now installed, go to control panel -> printers and other hardware -> mouse, and select Device Settings. 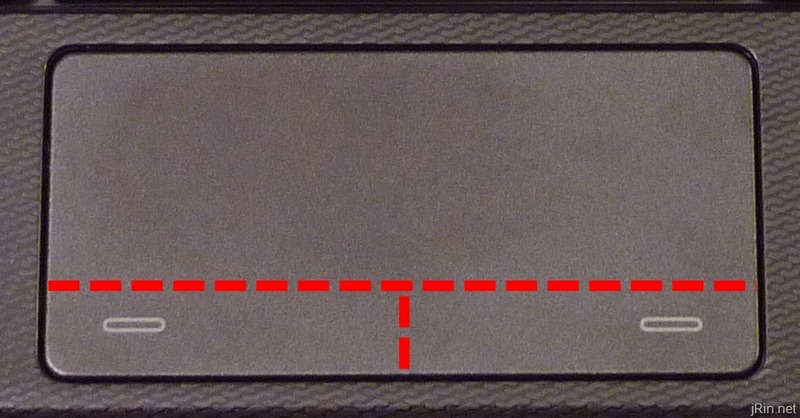 Now press the settings button from this window, and you can select whether to enable multi touch, two finger scrolling, and any number of other options, including changing the edge scrolling boundaries. I would say the upgrade difference was “Oh, that’s better.” Not OMG!, but sped things up by about 40%. it is very good notebook to use ..but it contain heat problem..because it have no internal fan..to avoid this problem use folding cooling fan..